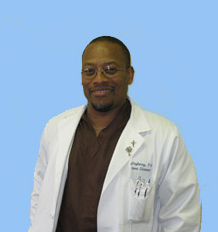 Carl C. Mayberry, PA-C is a practicing Board Certified Physician Assistant in Internal Medicine and Infectious Disease. He received his Physician Assistant and Bachelor of Science degrees from UT Southwestern School of Medicine in Dallas Texas. Over the past 25 years Mr. Mayberry has been a sub-investigator in over 30 clinical investigator trials in HIV drug regimens. He is also a sub-investigator with Hepatitis C mono/co-infection clinical studies. In addition to primary care Carl Mayberry is the co-author of 15 published articles as well as a presenter of poster presentations on a National and State level.